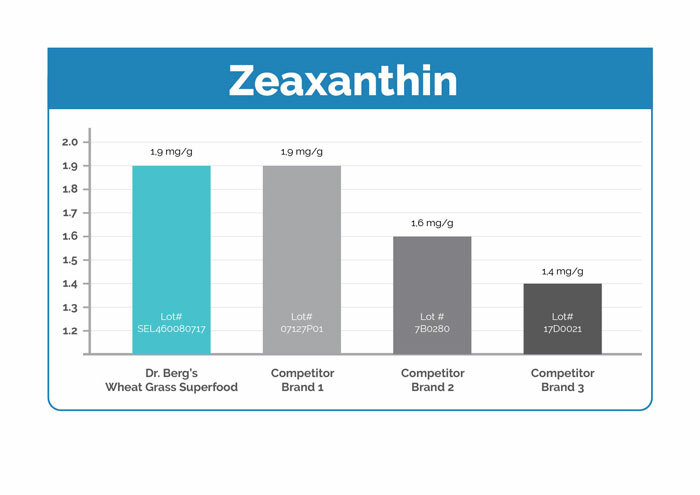 Get Amazing Nutrients in ONE Serving! Juice Powder, NOT Just a Powder (Highly Concentrated)! Grown on Ancient Sea Beds - Contains Trace Minerals! Bioactive Dehydration - nothing over 106 Degrees! Amazing Energy - Smooth Taste! Now, in a convenient packet! 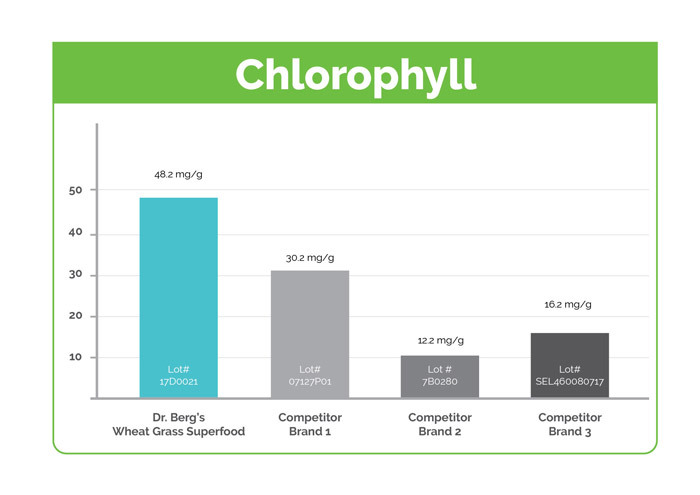 Dr. Berg's Wheat Grass Juice Powder uses the highest quality growing and processing methods. 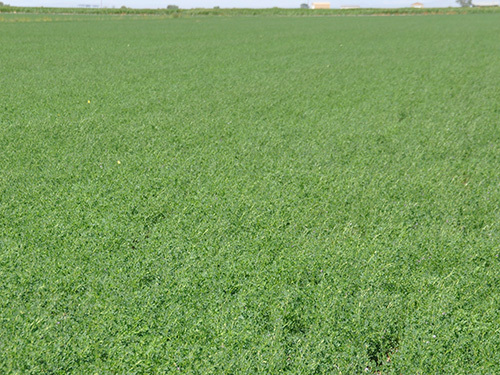 Our wheat grass is grown in the rich soils of an ancient sea bed in Utah's West Desert. Using a unique freeze drying method called BioActive DehydrationTM, we retain the natural qualities of fresh juice and when reconstituted in water the juice is virtually identical to fresh squeezed juice with essentially no degradation of color, flavor, aroma, enzymes, and nutrition. BioActive DehydrationTM process, the product temperature never exceeds 106ºF (41ºC) and is above body temperature (98.6ºF) for less than 2 minutes. 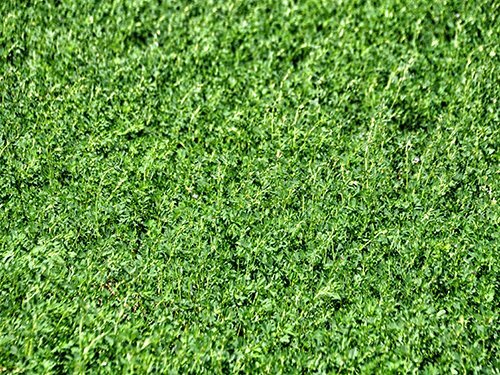 Wheat grass contains high concentrations of valuable nutrients, including chlorophyll, vitamins, minerals and natural enzymes. 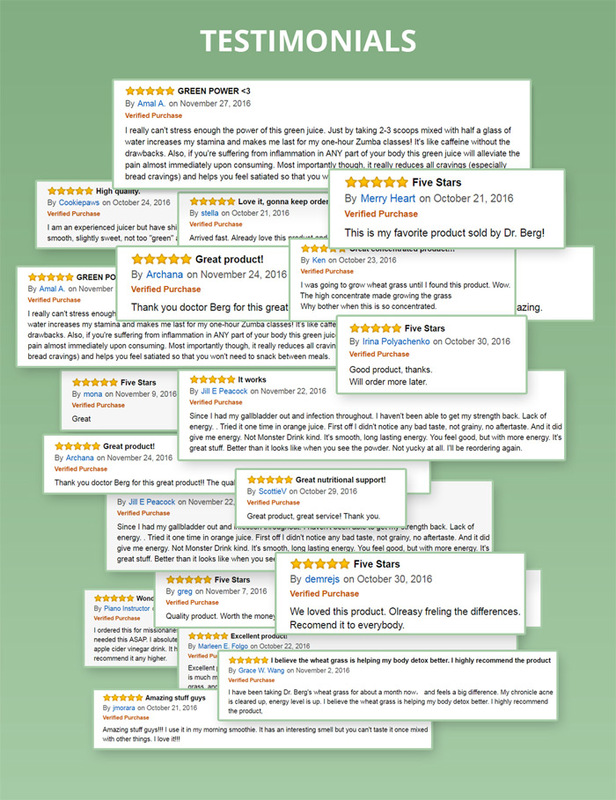 This juice powder is 100% pure and contains no insoluble fibers, carriers or additives. 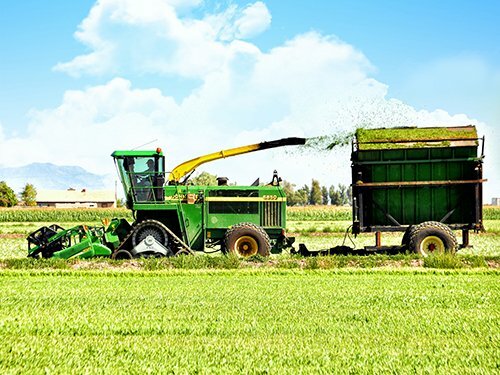 In order to produce the highest quality grass juice powder, a precise planting and harvesting schedule is critical. 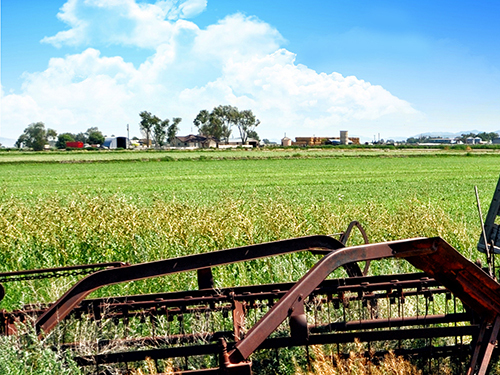 The exact timing for when we harvest, is particularly critical. The duration for optimal maturity and for peak nutritional content, can be as little as four days. One teaspoon of Raw Wheat Grass Juice Powder is roughly equivalent to 6-10 shots of wheat grass juice or 1 tray (10 inches x 20 inches) of wheat grass. 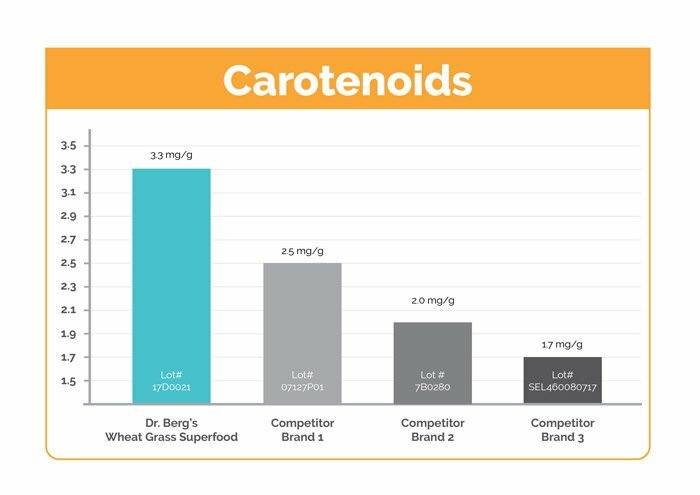 3rd Party Independent Lab Testing was performed for Phytonutrient Levels (Chlorophyll, Carotenoids, Zeaxanthin) then compared to the Top Three competing products in the Marketing Place. 3rd party independent lab results here.